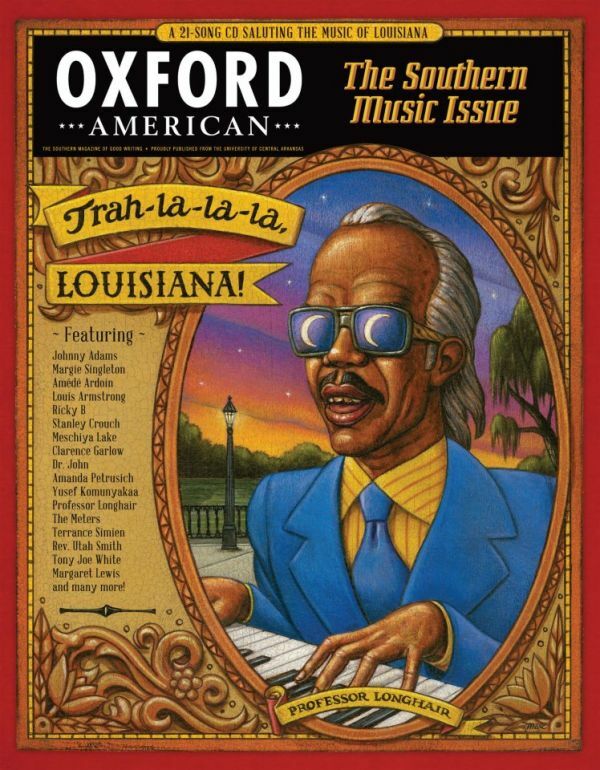 I happened upon the Southern music 2012 issue of Oxford American at Barnes & Noble yesterday. I first blogged about their annual Southern music issue last year which covered Mississippi. The Winter 2012 issue is dedicated to the music and culture of the sovereign state of Louisiana. I have visited New Orléans, Louisiana on multiple occasions in the past 30+ years. I love the rich heritage of jazz found there. My favorite time in New Orléans was in the early 80′s. I spent an evening spellbound sitting at the foot of jazz in the heart of the French Quarter at Preservation Hall, 726 St. Peter Street. I sat on a dusty old sofa cushion witnessing the Kid Thomas Band perform traditional jazz dance band music for a diverse international audience. The people around me were from Europe, Japan, Canada and the USA. They were very friendly musicians who went about their craft with precision and grace. I purchased the “Kid” Thomas Valentine LP after the show to evidence my appreciation for their performance. I am eager to delve deeper into this quality music magazine which is certain to increase my ever-increasing knowledge about Louisiana’s role in American roots music.